In 2013, the Smithsonian reported that 78 percent of Americans who joined in outdoor activities, including rock climbing, were white. Rock climber and journalist James Mills explained the misperception of black people in outdoor sports and the lack of representation of people of color. 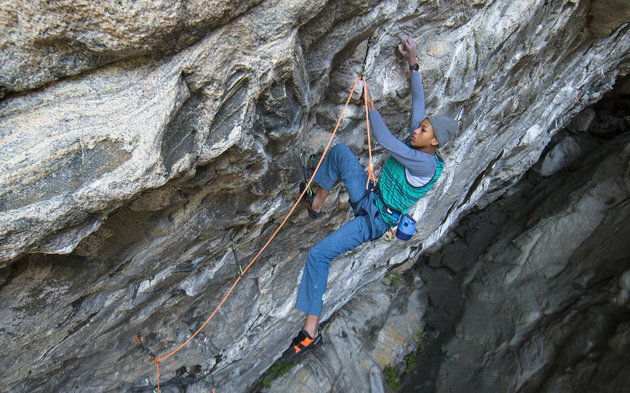 There are structural influences that have barred black people from participating in outdoor sports such as rock climbing, which has kept the majority of participants white. 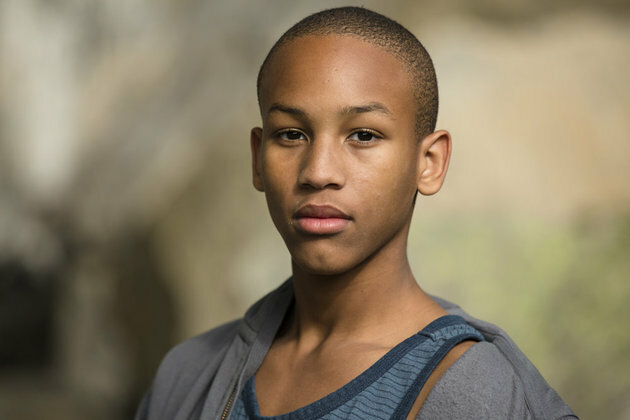 Lightner said he has felt accepted by other climbers, however that he has gotten a lot of grief from other people of color for his participation in the sport. Lightner, who is from a predominantly black community in Fayetteville, North Carolina, said he has received comments from other black people that made him feel pigeonholed by their definition of what type of sports black people should get involved in such as basketball or football. 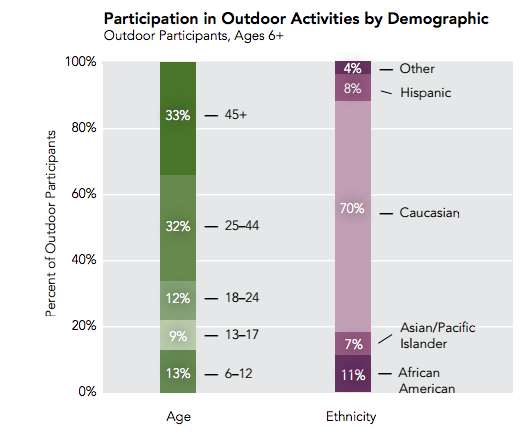 In 2014, the Outdoor Foundation created an outdoor participation report that catalogued the participation in outdoor activities by race, ethnicity and age. In 2014, it was found that only 11 percent of black Americans participated in an outdoor sport, which far less than the national average of the black population. The results of the report are displayed in the infographic below: There are several organizations that are working to change the misconceptions of black people and outdoor activities such as Outdoor Afro, a network which inspires black people to do more nature activities. But Lightner’s presence in rock climbing is certainly a step in the right direction to help diversify the sport. At the recent, he was featured with other climbers in a video by Clif Bar , a nutrition bar for athletes, that’s gaining national attention. Lightner said he is hopeful that the exposure he is receiving as a climber will encourage other people of color to integrate the sport.